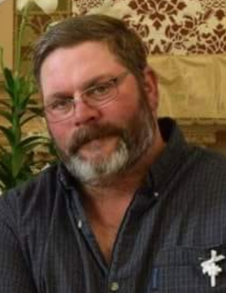 Frank A. Kellen, age 49, of Ortonville, MN, died on March 12, 2018, at St. Cloud Hospital. A Mass of Christian Burial will be held on Monday, March 19, 2018, at 11:00 a.m. at Holy Rosary Catholic Church in Graceville, MN. Fr. Brian Oestreich will celebrate the Mass. Visitation will be held on Sunday, March 18 from 1:00 - 5:00 p.m. at the church, with a prayer service at 5:00 p.m. Visitation will continue at the church, one hour prior to the funeral service. Frank Albert Kellen was born on March 10, 1969, in Graceville, MN, the 7th son of Gerald and Carol Jean Kellen. He graduated with the first graduating class of Clinton/Graceville in 1987. Soon after high school graduation, Frank joined the Army. He was sent to OSUT Training in Fort Leonard Wood, Missouri, where he learned to drive truck. After training he was sent to Fort Hood, Texas, where he remained until he was deployed in 1990. His deployment lasted until the fall of 1991, when he was honorably discharged. Frank served four years in the South Dakota National Guard. Frank was an active member of the Campbell William American Legion. Frank's employment started with elevator work. He also worked in road construction, as a cement truck driver, a milk truck driver, a heavy equipment operator, and most recently, a propane truck driver. He had several head of cows, calves, steers, and heifers on his farm. He was very proud of his cattle and took very good care of them. He adored his baby calves, cats, kittens, and his dog. Frank was a big teddy bear that gave the BEST hugs! He loved being around children. He couldn't go anywhere without a child eventually gravitating toward him. He enjoyed meeting new families while out and about, and he would usually end up with a child up in his arms. He was just getting accustomed to grandfather hood with his four grandsons, who he adored. Frank was a great friend to many, many, many people. Leah always kidded him that they couldn't go anywhere without him knowing at least one person. He struggled remembering people’s names, but he never forgot a face. He even knew people on Leah and his Mexican honeymoon!!! A special date that he shared with Leah was “HIS birthday”, as it was “HER birthday” as well. It was so special, they decided to get married on Thursday, March 10, 2005, the date of BOTH of their birthdays. Unfortunately, March 10th was also the date of Frank’s snowmobile accident. The doctors determined he did not have any brain activity on Monday, March 12th. At that time, the family decided to donate his organs, which was his wish. One of his kidneys and his liver went to a middle aged man, and his other kidney went to a different middle aged man. Left to live without him are his wife, Leah; his daughter, Kayla (Jerry); grandson, Tucker; his step-sons: Ethan and Cody (Karley); step-grandsons: Wyatt, Leo, and Dylan (Nicole); his step-daughter, Shannon; step-grandson, Brady; his mother, Carol Jean; six brothers: Greg (Kathy), Phillip (Cindy), George (Kathryn), Leon (Peggy), Dennis (Natalie), and Iver (Trish); two sisters: Susie and Sally(James); 16 nephews; eight nieces; five great-nephews; six great-nieces; and numerous other family members. Frank Albert is preceded in death by his father, Gerald; niece, Ashley; nephew, Adam; and father-in-law and mother-in-law: O.C. and Mary Jane Moen. In lieu of flowers the family suggests that donations be given to LifeSource at 2225 West River Road North, Minneapolis, MN 55411 c/o Kristen Rigg, or the Big Stone County Cancer Support Group.